Sify blankets India with one of the largest IP Multiprotocol Label Switching (MPLS)-enabled Tier 1 networks. It spans more than 2700 points of presence (PoPs) in 1126 cities. The network is fully meshed and carrier-agnostic. The network is also IPv6-ready, with a state-of-the-art backbone on fibre and multiple high-capacity circuits. We offer one of the world’s most extensive international networks to connect users and customer locations across the globe. In Atlantic and Asia Pacific regions, we have diverse cable assets and multiple POPs over different geographies with direct connectivity to a range of major IP network operators. 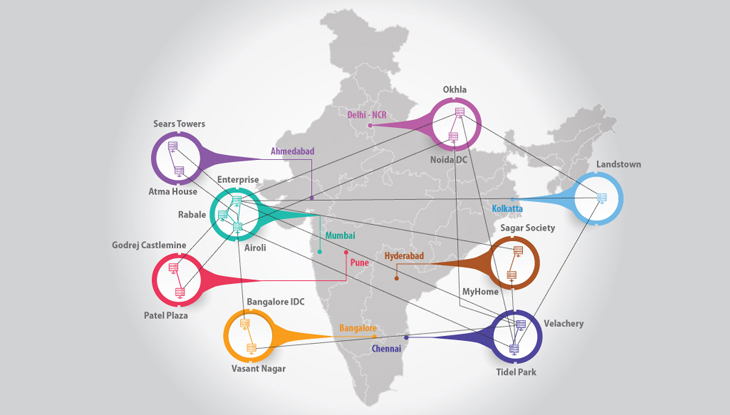 Sify maintains a cable landing station in Mumbai with access to Europe India Gateway (EIG) submarine communications cable system resources. Our undersea cable network has been designed to assure the maximum level of IP service continuity and performance by providing diverse cable options for redundancy over the following multi-cable systems.